James Bond - The Secret Agent: I guess you fell for my "april fools day" joke? I uploaded this blog post yesterday as you might have seen. 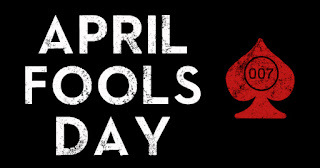 In other words it was uploaded on "April fools' day"
I have always loved April fools day as long as I can remember. I even managed to talk my wife into keeping our first born inside her belly until April 2. 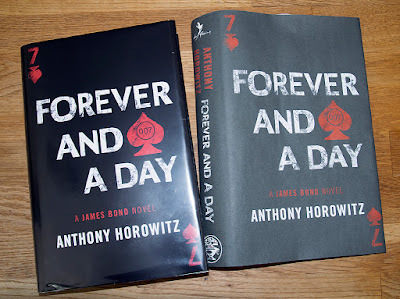 So yesterday's blog post was about me receiving a very early copy of Anthony Horowitz second James Bond novel titled Forever and a day. This is how I made the cover that help me trick many of you. 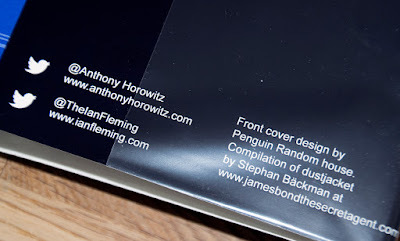 First of all I went to Anthony Horowitz official website were I found a quite high resolution JPEG of the black cover. Then I used the the same font/text on the spine. Just like they had done on The trigger Mortis edition. 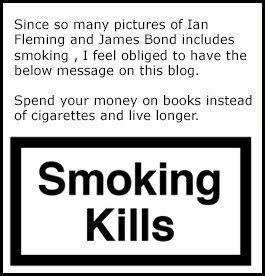 Then there were time for the logos of Ian Fleming Publications and Jonathan Cape. This was tricky because I only found them in black so I had to reverse them into white. On the back I needed a fresh photo if Anthony in quite good resolution. Sadly I did not have much time and I did not know to much about the story line and therefore it was hard composing a good back side. I might revisit the backside once I have read the book. Then I created both the left and right inside flips. On the left is text about James Bond and the UK price at £18.99 with the text In UK only. On the right is some text about author Anthony and all his earlier success'. There are some links to his and Ian Fleming Publications Twitter account. Last but not least I added that the cover design comes from Penguin Random house but the compilation of the dust jacket is done by me. Then there was time to find the correct paper, to use ordinary paper did not work, it had to be glossy. 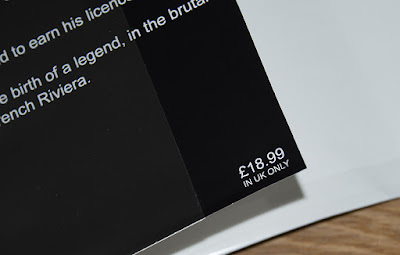 I decided to print four covers and they ended up costing me £40. I decided to cut them myself to save £20. books. Why would I buy a book for the twentieth time if it was not for the great cover design. Maybe I should learn more and change my line of work. Might be a thrill. 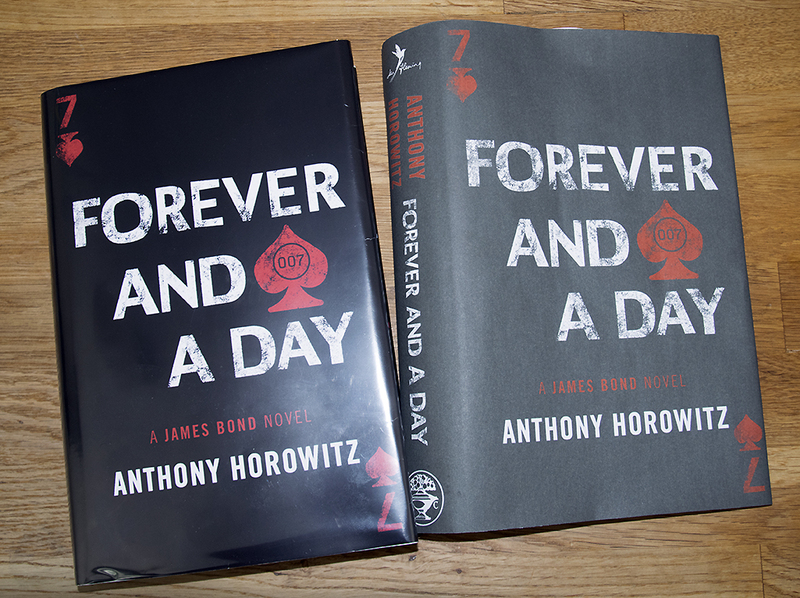 The blog post was liked by Anthony Horowitz on Twitter. I am quite curious if he fell for the trick as so many others. I wish all readers a Happy Easter! How to follow Anthony and IFP. 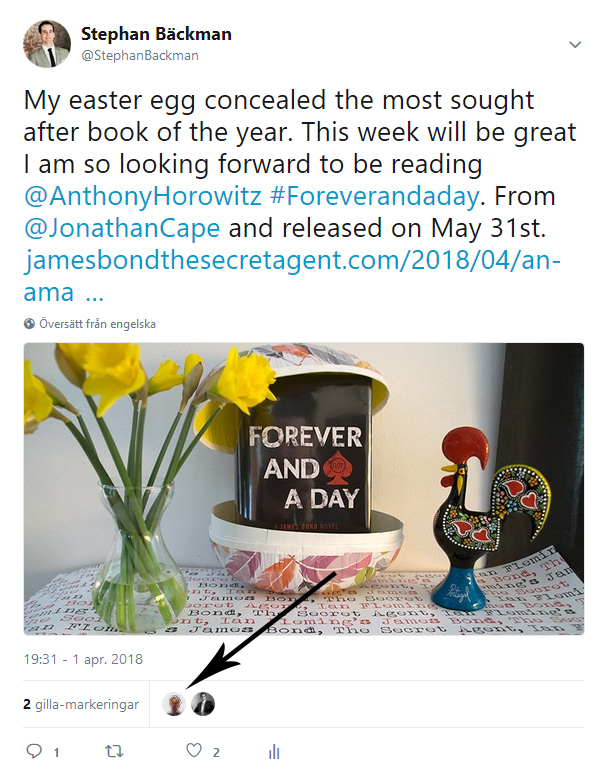 The blog post got a like from Anthony Horowitz so I guess the trick had his blessing. It was also liked by Nicolas Suszczyk.